What do you feed and why? Despite only having passed Nutrition in my yard manager’s with 88%, feeding is a subject I’m kind of obsessed with. I think it’s practically the most important aspect of horse keeping, and I also think it’s easy to fall into the trap of feeding according to conventional wisdom instead of what the horse is saying. 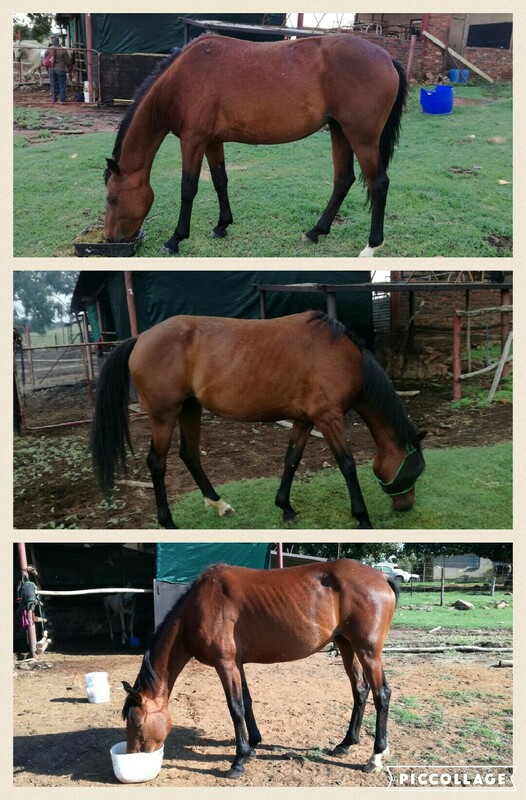 And though I say it myself, our yard is locally a little legendary for having horses in good condition. I don’t do ribs. I also don’t do obese. I have once been informed by a client that they think I just whisper something to a horse and it instantly blows up like a balloon into wonderful shiny fatness. Feeding is something one has to be holistic about. You can shove as much food as you like into it, it doesn’t do any good if half of it is falling out from quidding and the other half is being eaten by worms. Dentistry, deworming and mental health are all very important components. I don’t have a weight tape (because they’re disastrously inaccurate), and feed according to good old-fashioned condition scoring, which is considerably more precise anyway. Condition scoring gives you an assessment of fat and muscle, not just mass. (A well-muscled TB will weigh the same as an obese pony, but their nutritional needs will be leagues apart). My first consideration when choosing a ration is condition. The second is general health. A ribby horse with a shiny coat and otherwise good appearance probably just needs some extra calories. A ribby horse with a dull coat probably has some form of deficiency, assuming other causes of ill health have been ruled out. The third is the horse’s job. School ponies can’t get anything heating, but a lactating broodmare needs all the energy she can get. This chap decided to suddenly go from about a 6 to about a 4 in the space of two weeks. No changes in his lifestyle, teeth and deworming up to date. His coat was really dull too and he was flat to ride. On a gut feel I put him on 1kg balancer daily and he was fixed in two weeks. Water. We all forget to say it in exams, and it can also be neglected in real life, but it’s the single most important nutrient in the horse’s diet. Now I know none of us go and let our horses stand around for hours without any water, but water quality is also a valid consideration. Dirty, stale, hot, icy or algae-encrusted water will all cause the horse to drink less than he should. Regrettably, in the fields, there’s not much we can do about troughs icing over, except break the ice first thing in the morning. Our horses also have free access to salt, and consume a rather amazing amount of the stuff. There is one ration that has worked reliably on a vast array of horses over the years. Eighteen of the twenty-nine horses at the yard get this, including competing horses in steady work, schoolies, and growing youngsters. It’s the perfect ration for ponies and native types, but we also have thoroughbreds on it, and it works even better for anything with ulcers. Every single Nooitie we took to HOY was on it. All the schoolies are on it. It’s positively magical, and it’s amazingly simple. That’s it. Just grass and hay. But absolutely tremendous amounts of it. It absolutely has to be fed ad lib, and not the standard definition of ad lib. If it’s in a haynet, and I don’t care how many haynets a day, it’s not ad lib. Have you seen what tiny bites a horse takes from a haynet? If it’s in a big pile in the middle of a field with many horses, it’s not ad lib, either. (That’s a particular pet peeve – food aggression is such a behaviour issue, too). If it ever runs out, even during the night, it is most certainly not ad lib. Ad lib is a big round bale, with the strings taken off and in a very accessible feeder ring, per four horses in the field. When there’s an armful or two of hay left, a new bale gets put in. If a horse is starting to get bullied away from the hay, another bale is added. In the stables, a gigantic pile of hay is put on the floor – GIGANTIC, probably four haynets’ worth. The hay must be clean, but doesn’t necessarily have to be teff hay. Of course for the colicky types or skinny horses, teff is by far the best, but mine are all on plain old eragrostis (except Magic and Exavior because special treatment). In the drought they even got by on Rhodes grass which is glorified straw if you ask me. Hay is unavoidable at the moment, but actually, grazing trumps everything else. Kikuyu is best, if supplemented with some calcium because its Ca:P ratio can be off. But whatever is green and growing in the field is better than the best hay (provided it’s not ragwort, obviously). Bonus points to grazing because the horses walk around with their heads down, stretching their backs, gently exercising and building a topline too. It may sound ridiculous that I can have a top show horse, who is in fairly intense dressage training, on grass only, but the science behind it makes perfect sense. God designed horses to eat grass. The simple action of chewing all day long (they spend more time eating than sleeping) relaxes and soothes them, removing a huge source of stress (thus, excess stomach acid). Because so much roughage is moving along the gut, it’s in optimal condition to absorb the nutrients, too. 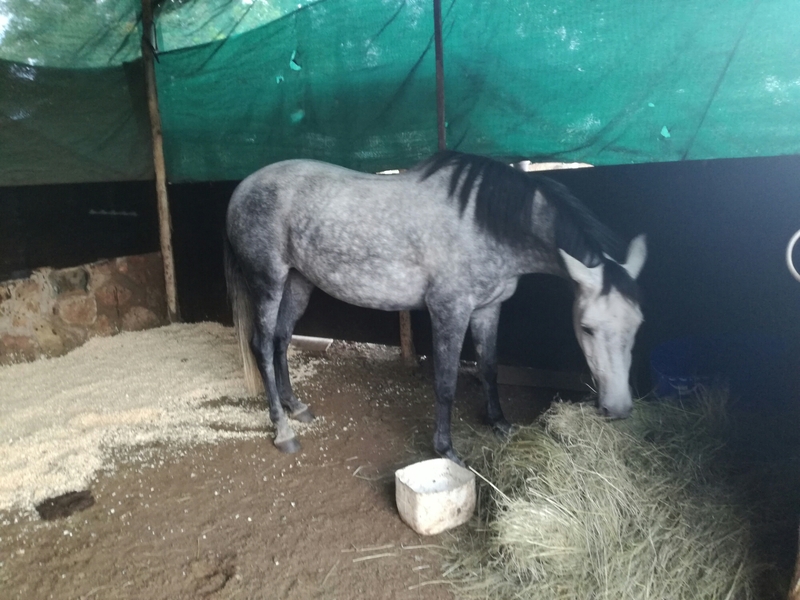 The food is making the horse’s body more able to use the food. Isn’t that amazing? ConcentratesWhere unnatural demand is made, unnatural compensation has to be given. Thus, in some situations, concentrates are a very valuable addition to the diet. My pet peeve is this idea that people have of feeding considerable amounts of low quality concentrates to everything. I’ve seen it so often – feeding 2-4kg of that real, cheap riding school food. It’s fluff. Heating fluff. Why?? The math is simple: double the quality allows you to halve the quantity, thus placing half the stress on the horse’s digestive system. As a struggling little yard there’s a lot of things we have to compromise on, but feeding isn’t one of them. I add concentrates to anything that needs to gain more than one condition point (out of 10). 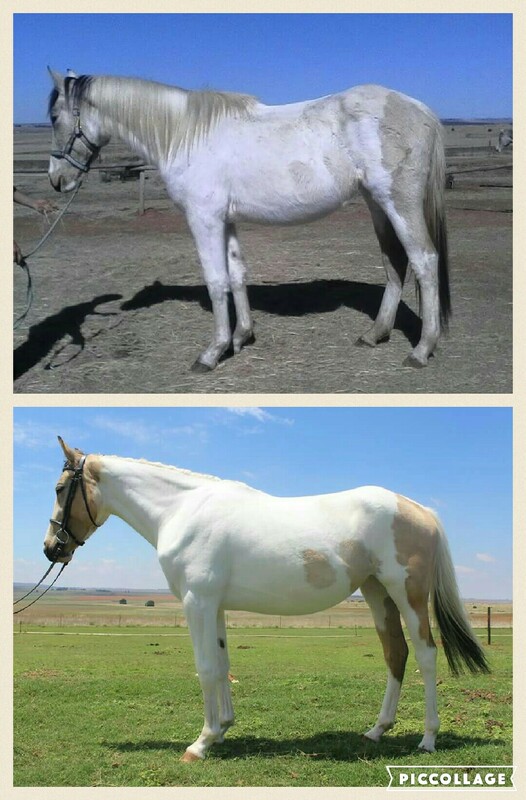 I don’t increase feed in anticipation of work, but I do push it hard when a mare hits her third trimester. It’s ridiculous how much food a broodmare needs – triple, quadruple the amount that horses in heavy work need. My go-to feed for working horses is Spurwing Tranquilo. It’s super non-heating but does put on weight. No good for very skinny horses, but where a couple points are needed, it does the trick just fine. I start them at 1.2kg daily, pushing it up to 3kg in extreme cases. For anything under three years old, anything that’s had a hard time at its previous home, anything with a condition score less than 3, or anything that just looks a bit poorly, I turn straight to Capstone Lifetime Balancer. Some horses need persuading to eat it (mixing it with a hay replacer pellet helps), but this stuff packs some serious punch. Feeding more than 1kg daily is a recipe for disaster, but in appropriate amounts it just fixes everything. I also feed this to a foal starting a week before weaning to help them over the bump, no more than 500g at first. It’s 25% protein so can be heating and needs to be treated with respect. For lactating mares, really skinny youngsters, or when all else fails, I turn to Capstone Stud Time. It costs approximately an arm, a leg and both kidneys, but it sure works. Plus it looks like muesli and this amuses me greatly. It is extremely high energy and cannot be fed to working horses (unless you have a serious death wish), but it packs on the weight. We fixed Tara on a combination of Capstone Stud (2kg) and Capstone Lifetime (1kg), split into three feeds a day. A last note on concentrates is that you have to play by the rules. No more than 2kg per feed (I don’t do more than 1kg a feed for anything that looks horrible). Don’t feed (unless your feeds are less than 500g) within an hour of work. Keep the buckets and things clean. Don’t feed anything that has clumped together or has fluff growing on it. Feed according to mass, not volume (a scoop of Spurwing weighs 400g, the same volume of Capstone Lifetime weighs 600g). Common sense goes a long way. … are violently overrated, and do not magically fix anything. The number one reason to give a supplement is to make yourself feel like you’re doing everything you can. I will make a begrudging exception for quality joint supplements and good probiotics, but neither are a substitute for other, more effective care. “All-round” supplements cannot replace good feeding. “Calming” supplements cannot replace good training. “Coat” supplements cannot replace good grooming. That said, I do have three supplements that I tend to use. GCS-Max is the only joint one I’ve found to actually do anything, and I keep Stardust on it to help support her glitchy leg and because all her legs have variations on windgalls and capped hocks. Protexin is a probiotic that you know a horse needs if they’ll actually eat it – it’s truly disgusting, but it does help a bit. And Rooibos tea, while not magical the way the salesmen say it is, does appear to give the system a little boost. Of course, I give Magic a ton of random stuff to make myself feel better, but I am an unmitigated idiot when it comes to Magic. * And bold type and all caps aren’t a substitute for good grammar, but it’s 3:00am as I write. Bear with me. Listen to the horse first. And unless your horse is morbidly obese… feed the grass ad lib, please. WOW the difference between the two photos of Tara is amazing! In the first photo she looks tired and depressed — especially her eyes, but in the second one…wow!